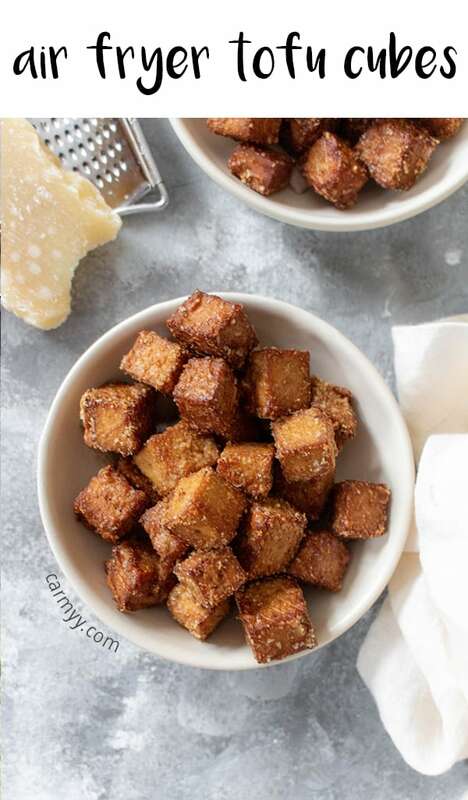 These Air Fryer Tofu Cubes are perfect as a snack on their own or as a part of a complete meal! As someone who will never say no to eating a burger, I rarely turn down the chance to visit one of Toronto’s vegetarian restaurants, Fresh. I order the same thing every time whenever I go, an order of Squash Tacos with an add on side of crispy tofu cubes. 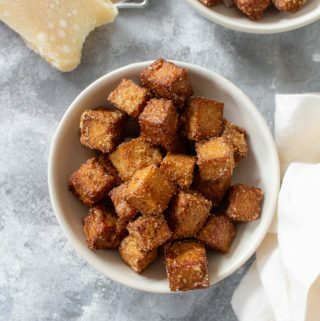 Yes, I would pay $4 for tofu cubes because they are just that good. I’ve always wanted to try my hands at making my own at home but because they fried their cubes, I wasn’t too keen to attempt to fry something at home. I would probably burn myself if I was to be working with a large amount of hot oil! Luckily for me, last year I got an air fryer! So when the craving hit, I brought out my air fryer and tried my hand at making me own. 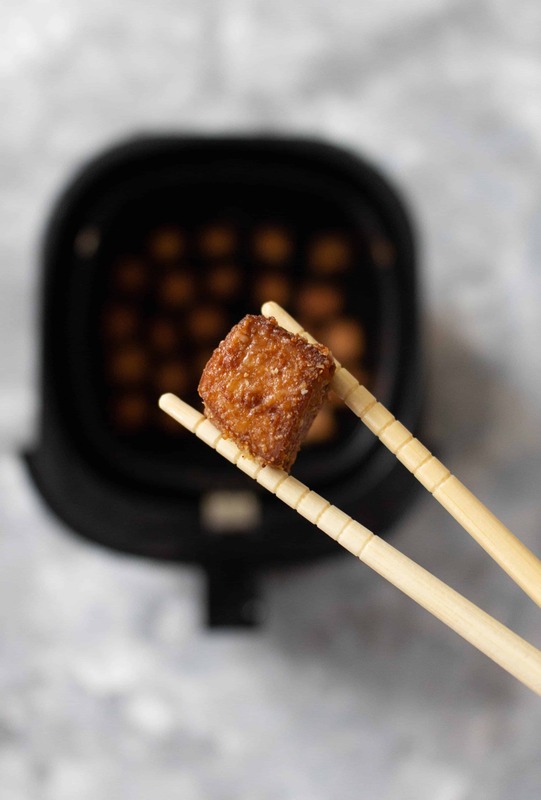 Disclaimer: this recipe is not the same as the one from Fresh and unfortunately does not have that thick crispy coating from frying in oil but these air fryer tofu cubes have a great crunch to it (even though it’s not 100% the same) and uses no oil at all. Mix together the soy sauce and water. Cover the tofu with the mixture and let it marinate in the fridge for up to 30 minutes. In a bowl, combine parmesan cheese with garlic powder and mix well. 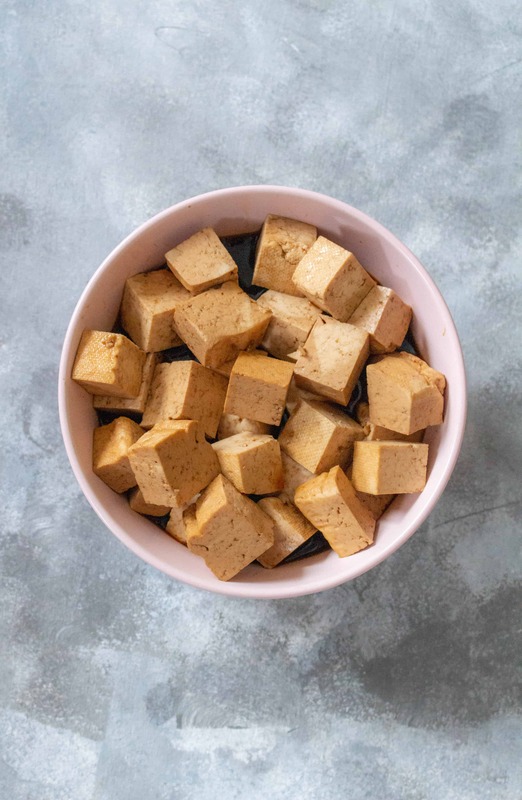 Once the tofu is ready, remove the cubes from the marinade. In a shallow bowl, transfer a portion of the tofu coating and use it to coat the tofu in small batches. 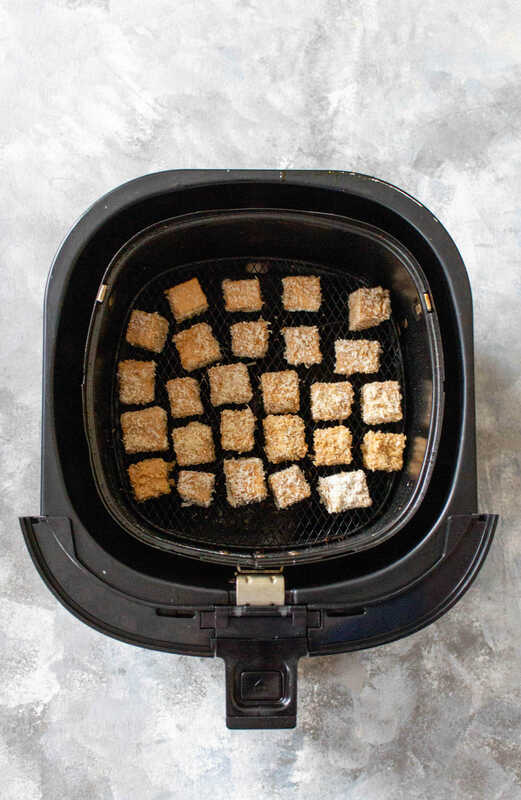 Once ready, place evenly in your air fryer basket and then air fry them for 7 minutes at 400. 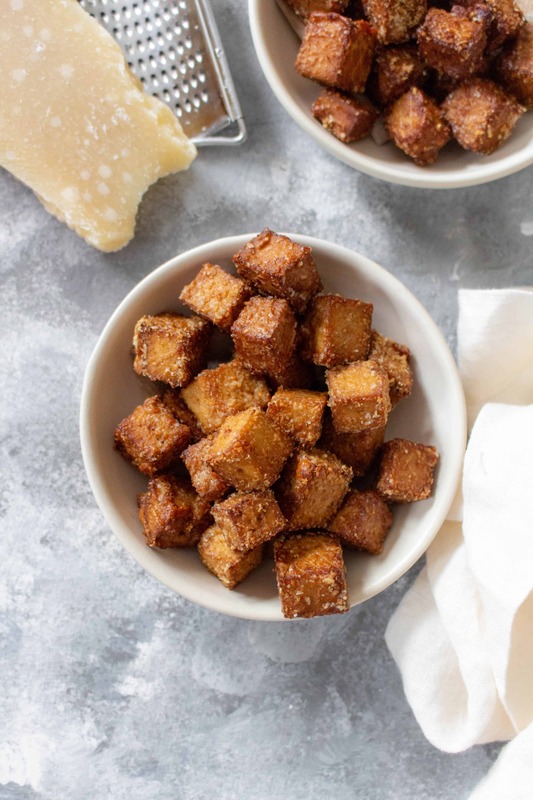 I suggest coating the tofu in batches as if the liquid from the tofu gets onto the coating, it will clump together and not stick to the tofu itself. Trying this in the oven does not yield the same result, I would not suggest trying this in the oven! 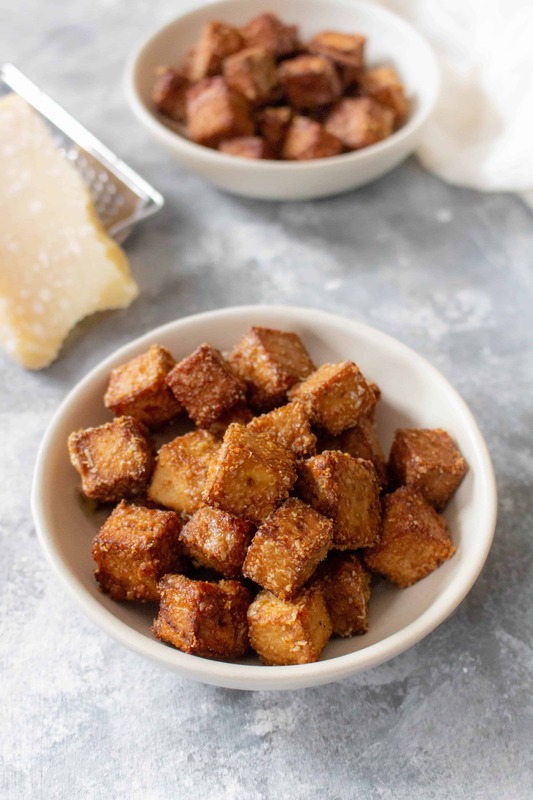 It is best to eat these tofu cubes immediately (once cooled of course!) as they do not stay crispy over time, especially after storing in the fridge. The leftovers are still delicious though! Mix together soy sauce and water. 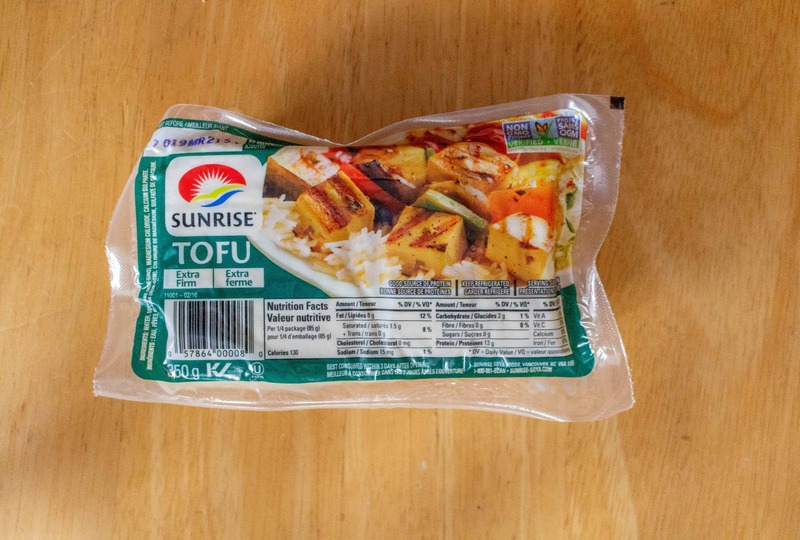 Cover the tofu with the mixture and let it marinate in the fridge for up to 30 minutes. 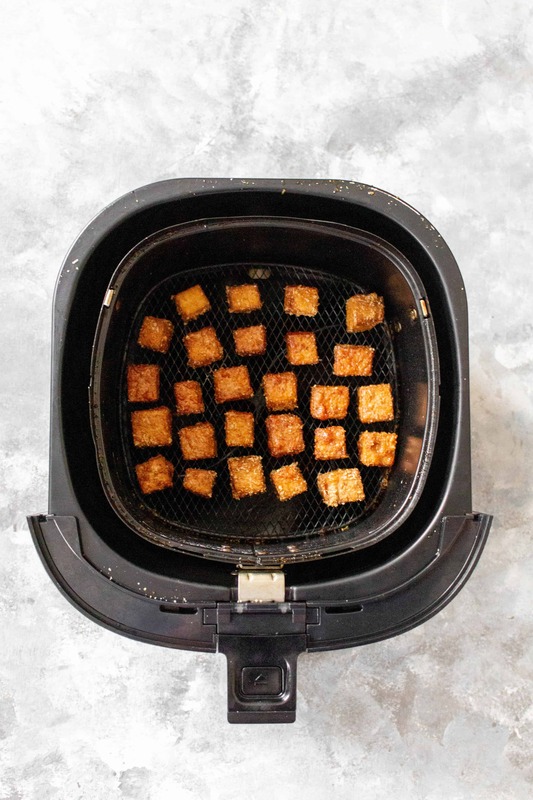 WANT TO TRY ANOTHER AIRFRYER RECIPE?